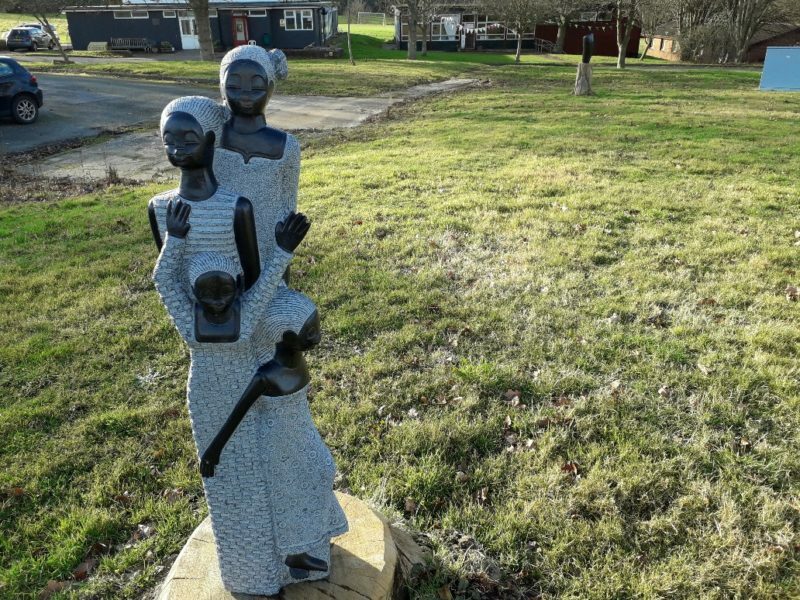 Pestalozzi International Village in Sedlescombe, Battle is showcasing an African sculpture exhibition in one of its fields in one of the last events before the site closes in summer 2019 after 60 years helping disadvantaged children from abroad. The exhibition pieces are stunning and sensitive. 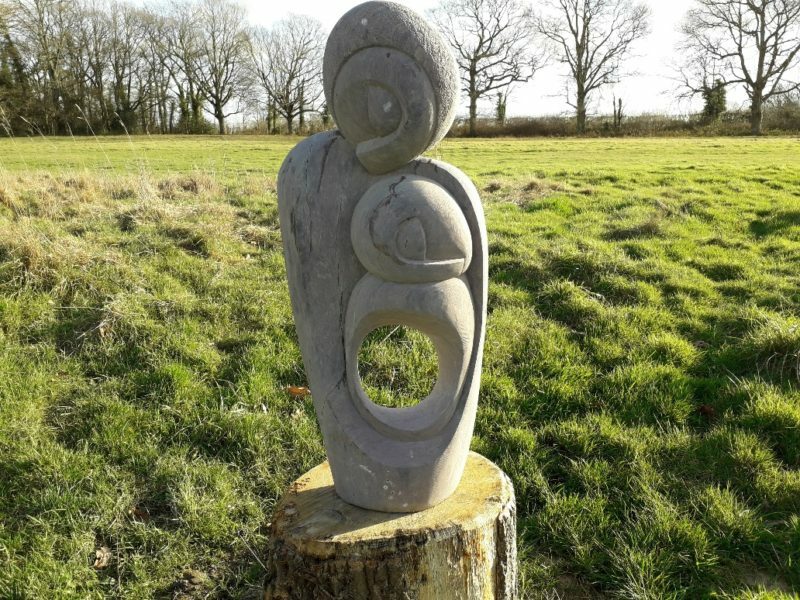 One of the artists, Emmanuel Manuchangunda sometimes works on his sculptures in one of the barns and gives workshops in the summer. The stone pieces show his interest in fusing traditional and modern technique. He says: “My heart will also be true to that great heritage that I was born into. Shona stone sculpture is in my blood.” Shona is the largest tribe in Zimbabwe and the people use the country’s rich rock resources to make amazing sculptures. The exhibition will last until July 2019. Pestalozzi International Village saw its first students arrive in 1959, mainly young Europeans who had been displaced after the Second World War. Since then it has educated many sponsored students from Africa and India who were chosen by their countries because they were bright but disadvantaged. Once here they took British qualifications and eventually staff helped them towards a university course in the country of their choice. Sadly after the summer term 2019, this wonderful opportunity will cease as Pestalozzi have sold the site. Its overheads were getting too expensive and funding was getting difficult. However, it is not the end of their work. They intend to establish a smaller hub in their local area and continue helping students to take advantage of the schooling in England and encouraging them in the same way to achieve and apply to universities. The hope is that they in fact can help more individuals with the money from the sale.